Dzigar Kongtrul suggests that we need not feel doomed when these experiences surface. In fact, such experiences are not a problem if we are able to simply let them arise without judging them or investing them with so much meaning. 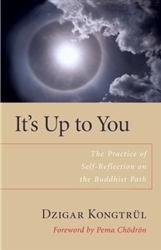 This approach to experience is what Kongtrul calls self-reflection. Self-reflection is a practice, a path, and an attitude. It is the spirit of taking an interest in that which we usually try to push away. 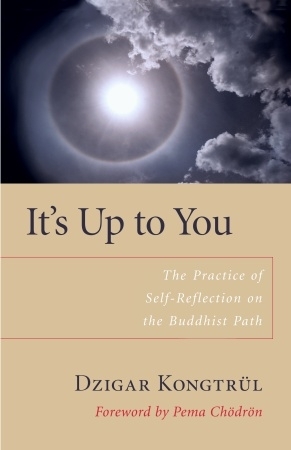 When we practice self-reflection we take liberation into our own hands and accept the challenge and personal empowerment in Kongtrul's title: its up to you.